Johnny talks to Valonda and Alex (from outside–they’re renovating the studio!) about To Kill a Mockingbird. 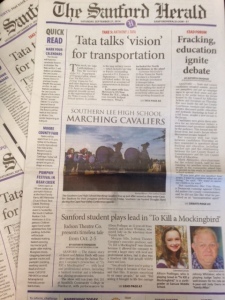 Grateful to The Sanford Herald and The Pilot for their super weekend features on To Kill a Mockingbird! Here’s a short video promo for To Kill a Mockingbird! 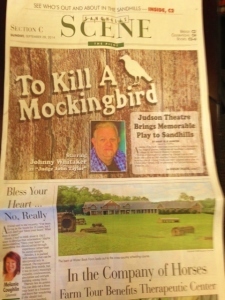 We open in less than two weeks–get your tickets here on JudsonTheatre.com (Click “Buy Tickets”). TO KILL A MOCKINGBIRD posters going up all over the place!!! Have you seen a TO KILL A MOCKINGBIRD poster? Better yet, have you clicked on Buy Tickets here on this site and got your show tickets? 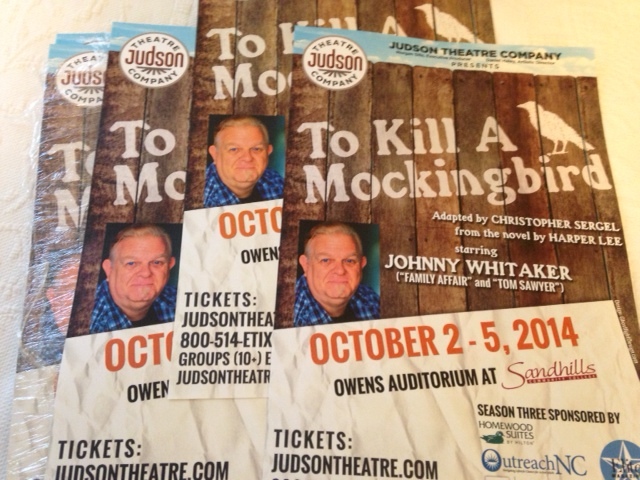 Thanks to Ghostlight Design and Moore Copies–these posters look amazing! 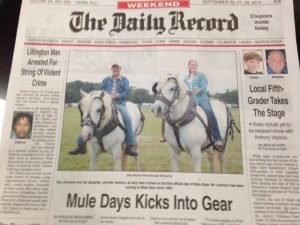 Read all about it in the September Outreach NC! 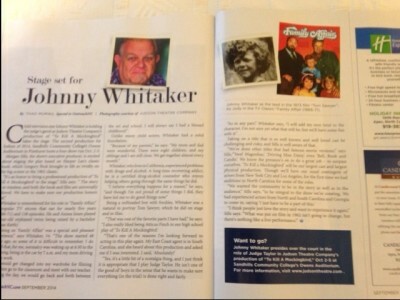 The article on Johnny Whitaker and To Kill a Mockingbird starts on p.38.